Samsung Galaxy J6 has reportedly received yet another price cut in the Indian market, this time for both the 3GB RAM/ 32GB inbuilt storage and the 4GB RAM/ 64GB storage variants. The base 3GB RAM model will now allegedly be sold at a price of Rs. 12,490, down from a launch price of Rs. 13,990. The 4GB RAM model on the other hand is said to retail at a price of Rs. 13,990, down from its earlier discounted price of Rs. 15,990. This model was, however, launched for a price of Rs. 16,490 in May this year. This new development comes to us via established Mumbai-based mobile retailer Mahesh Telecom, who has been accurate about such price cuts in the past. This move may have been made to take on value-for-money mid-range smartphones in the Rs. 10,000-15,000 price segment from Chinese brands such as Xiaomi and Honor. Notably, the Galaxy J6’s base 3GB RAM variant received its first price cut to Rs. 12,990 in August. The 4GB RAM model, on the other hand, got its first price reduction to Rs. 15,990 in July. We’ve reached out to Samsung to comment on the reported price drop, and will update this space when we hear back. 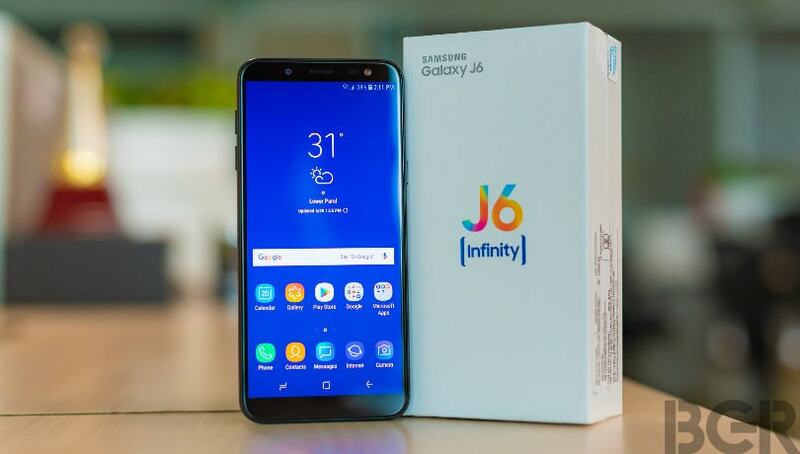 The Samsung Galaxy J6 runs Android 8.0 Oreo out-of-the-box, and sports a 5.6-inch HD+ Super AMOLED panel with an 18.5:9 aspect ratio and an Infinity Display design. The phone is powered by Samsung’s in-house Exynos 7870 SoC, coupled with 3GB/ 4GB of RAM and 32GB/ 64GB of inbuilt storage. Storage is expandable via microSD card (up to 256GB). In terms of optics, the Galaxy J6 sports a single 13-megapixel rear camera with an f/1.9 aperture and an LED flash. On the front, the mid-range handset gets an 8-megapixel front sensor with the same f/1.9 aperture and another LED flash for selfies and video calling. There is a non-removable 3,000mAh battery under the hood, which charges through a Micro-USB port.